A small Jun-type stoneware vase supported on a low foot, the rounded body extending towards a long straight neck and terminating into a slightly splayed rim. 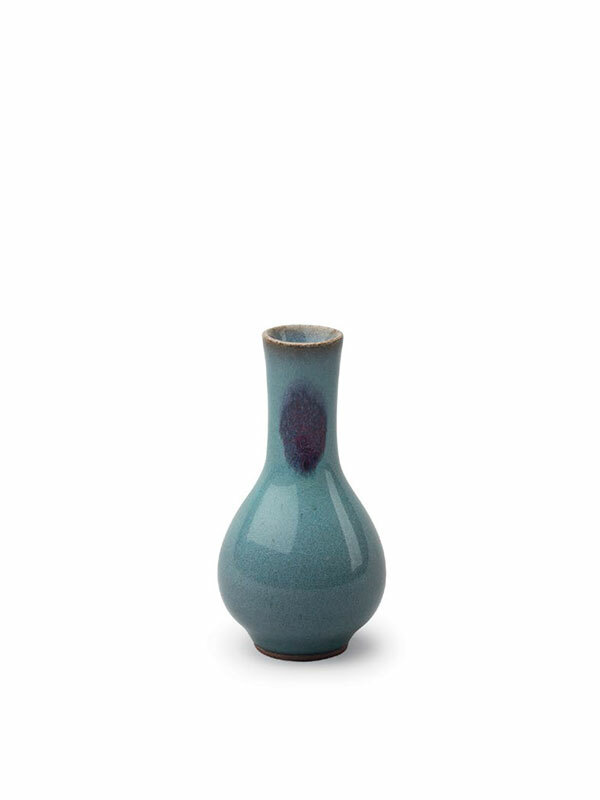 The vase is covered in a lustrous sky-blue glaze, with a band of olive green glaze at the rim. The exterior is enlivened by a single splash of reddish purple on the neck. The glaze stops neatly above the foot, revealing the dark brownish stoneware body.